When looking to facelift your home through major home renovation, one of the most pertinent questions to answer is how you are going to fund that project. As much as making a few changes to your house could result in you having a much better looking home and even having the value of that home increase, all this is going to cost a lot of money. Therefore, before you embark on such an ambitious project, it is best to know exactly where you are going to get the necessary funds to see it through. Are you going to use your own savings? Are you going to shop around for a bank loan? Are you going to borrow from friends and family? All these are great options when it comes to finding the money you need for your home renovation project. The very first thing you need to do even before you start looking around for financing options, is to determine how much money the entire project is going to need. Today, there are very many competing lenders and loan options available to anyone willing to look. But this also means that shopping around for any kind of loan can be a bit more challenging as the terms and conditions vary greatly. It also means that without having a particular figure in mind, borrowers may end up taking up much more than they need, thus ending up in deeper, unnecessary debt; or they could end up taking much less than they need thus falling short of their target and having to borrow some more at increased rates. Whichever way you look at it, if you are going to be borrowing, finding a lender is just as important as finding the money itself. You need to look for lenders who are flexible and willing to provide the kind of loan you need at an amicable rate. But, do not feel as if your only financing option falls under borrowing. Here are 4 Ways to Fund Your Home Renovation in Singapore. Depending on the magnitude of the home renovations and improvement, you could actually fund the whole project yourself. That is assuming that the project does not run into the millions, funding it from your own pocket is often the best option. You could resort to dipping into your own savings or you could come up with a fiscal budget on what the whole project is going to cost and start saving up for it. Another option is to look for other avenues of making money to fund the project yourself. These may include selling off a few prized possessions that you are willing to part with. You could sell that old classic car that you have been holding on to; sell other pieces of property such as land if you have and so on. Again, this whole depends on the magnitude of the renovation project. All over the world, there are contractors who are willing to fund a home building or renovation project provided you use their contracting services and are willing to pay a little extra to make it worth their while. Contractor loans are more common place than you may think. In fact, it may be one of the safest and easiest to acquire home renovation loans available in the market. 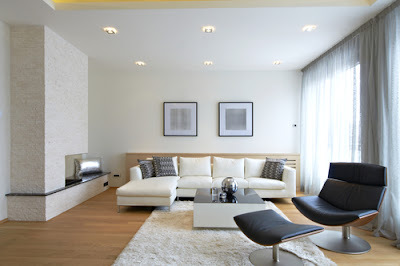 You, however, need to approach a contractor who has the resources and the expertise to lend you the money and to provide the services needed for the home renovation project to become a success. This will require some shopping around and you will need to be keen when signing the contract. Look at the terms and conditions careful and ensure that everything included in the contract is agreeable and that you can fulfill your end of the bargain within the allotted time frame. Although contractor loans may be easier to get, there is a very real chance that the associated rates may be higher than you would get with a bank. It is up to you to make an informed decisions as to which path you want to take. Either way, this is one way to fund your home renovation projects. When you have some collateral, savings and a good credit history, getting a loan from a bank shouldn't be as difficult as most people think. One of the most viable ways to get money to renovate your home is to take out a loan on the very same house you are trying to renovate. You could approach your bank and find out what kind of loan options are available for you. The most common types include mortgage refinancing, secured personal loans where you use your home as security and a home equity loan. Many of the loan options offered by banks are not as easy to come by and do involve a great deal of paper work. But as long as you can prove to be a worthy borrower, then getting a loan from your bank, no matter the kind, if one of the safest ways to find money for your home renovation project. Be sure to shop around as the lending rates may vary from bank to bank and so will the terms and conditions. If you have credit cards with higher limits, you could use them to finance your home renovation project. That is provided the project is not too big or too expensive. There are some things that you can finance through your credit or even debit card. It all depends on the magnitude of the project. 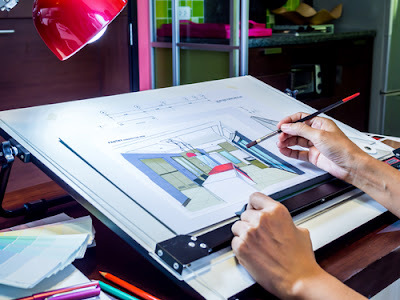 The best way to approach this is to lay out a projection on how much the whole project is going to cost; see whether or not you can finance it yourself; if not, see what kind of borrowing options are available to you. After that, it is just a matter of choosing one that is favorable and attainable. 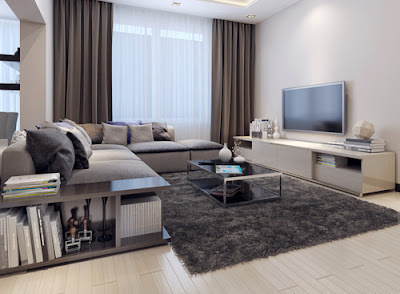 These are just 4 simple ways to fund your home renovation project in Singapore. There are many others available.